The Council of Chinese bishops had revoked the title of bishop. Upon his reinstatement, he was called "Father Ma Daqin". For the Holy See, he is always a bishop. For many Catholics, this step will further divide the Church. For some there is no way out of a government controlled Church. But many still value Ma Daqin’s courage. 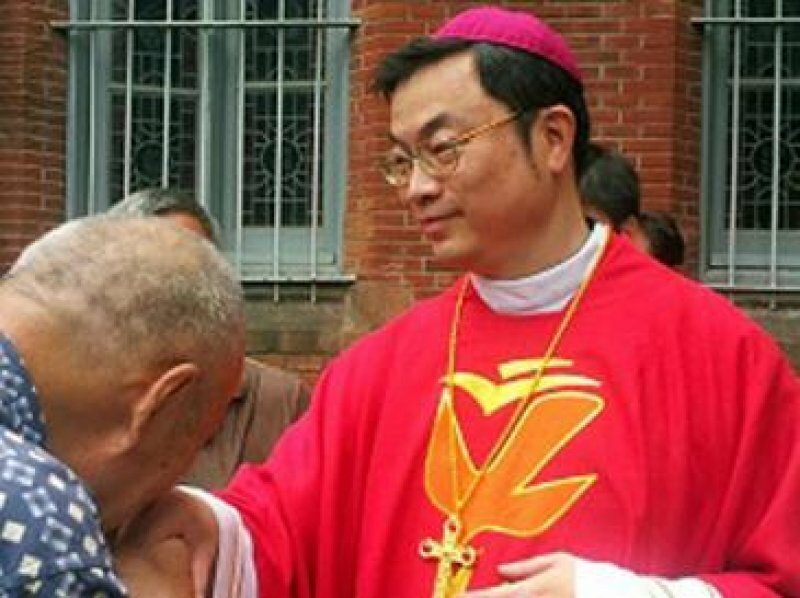 Shanghai (AsiaNews) - Auxiliary Bishop Thaddeus Ma Daqin of Shanghai has recently rejoined the Patriotic Association, for which he denounced his involvement at his episcopal ordination on July 7, 2012 but he expressed “regrets” in an article on his blog last June. According to a copy of an agenda of a joint meeting of the Shanghai Patriotic Association and Church Affairs Commission on Jan. 20, Bishop Ma was elected as a “supplemented member” and a standing committee member of the Eighth Committee of the Shanghai Municipal Patriotic Association. The agenda addressed Bishop Ma as “Father Ma Daqin”. Bishop Ma’s bishop status was revoked by the Bishops’ Council in China in December 2012. He has been under surveillance and lived in Sheshan Seminary since his ordination. The agenda also included a report of the Ninth Assembly in Beijing Dec. 26-29, 2016, as well as a report of the Shanghai PA and of the Church affairs commission in 2016. Priests in China told AsiaNews that Catholics reacted negatively to Bishop Ma’s article honoring the Patriotic Association and to his re-joining the PA, saying Bishop Ma’s move is a move to further divide the Church in China. A source in Shanghai said actually he has become a member of Patriotic Association of Songjiang district in Shanghai since last September. A priest said Bishop Ma’s denunciation of PA at his ordination and the subsequent restrictions that he suffers have given hope to the Catholics in the open and underground communities that the Church can live their true faith. Now, he said, some think that Bishop Ma’s rejoining the PA is a way to express his influence in his diocese. Other Catholics in China said the Church has to accept the reality that they are tightly controlled by the government, the priest said. However, some Catholics still find Bishop Ma courageous and influential in the diocese. Still, some comments on Bishop Ma’s article of June 2016 on his blog that they wondered it was really the bishop’s intention to do so. Embrace between Zhan Silu and Ma Daqin: a sign of resurrection?